Hey friends, Today with the help of this article I would like to mention some of the tips and tools of Twitter. As we all know that Twitter is one of the famous social networking site. Most of the users sign up there day. People follow up the other persons and share their new ideas and thoughts. You can also share your videos and photos etc. Its very hard to trust on any social management site with your Twitter account. Here you find the best and widely used Twitter tools in the field of social marketing and business. You can add these twitter tools, link up with your profile. These are trusted tools sometimes turn simple small business owners into keen social media marketers who learn and improve their Twitter strategies. Here you find some interesting twitter tools with their extra features. We will explain each of the twitter tools. Hope you like it. This is one of the best twitter tool which I gonna mention in the list. This is also one of my favorite twitter tool. In this tool, it is automatically share your articles and blog posts which you are writes on website and blog. Your followers will also able to see your post. It is free of cost. You have to just register yourself. It provide an interaction between WordPress and your twitter profile. Its following features are you can connect with multiple accounts plus you can active the tweets with your twitter accounts. Browse your tweets using #hastag, @mention. You can link this with your blog or website. Cybranding is a hashtag analytics twitter tool that offers and provide a free version called Hashtagify.me and a premium version, Hashtag Intelligence, which provides more in-depth analysis. You can sign up with you profile link, and enjoy its features. If you are using this than it is the best tool. It provide great features like first of all you can sign up easily with your account. You can choose the date and time of the publishing post. You can add message table also. Plus you can even enter the target keyword and create a stream that gives you tweets containing that keyword. You can manage multiple social sites at a time like Facebook, Twitter, LinkedIn etc. It a best twitter tool. It provide a graph which regularly manage a record of your writing skills. This tool is used for best social marketers. It also manage your regular posts which you are publishing on your blog or website. It systematically manage your updates. 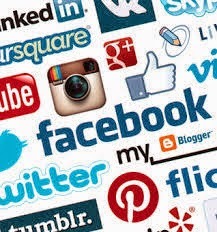 You can easily connects with some networks like Facebook, LinkedIn, Instagram, Google+ and FourSquare etc. Plus you can manage multiple social accounts. It is a good tracker account which tracks your twitter accounts. You can join it free of cost. The registeration is free of cost. It provides a great and high level platform where you can find something different. It is developed by marketing site Moz. The platform provide a stage where you can know more about your followers like their interests and when they tweet etc. A 30 day free trial is also available. It provide an visual chart form data. It helps you to identify hashtags related to the specific topics and connect with people who are talking about them. You can choose an hashtag which directs enter you to a chat room where you can see related conversations. Isn't it great! !